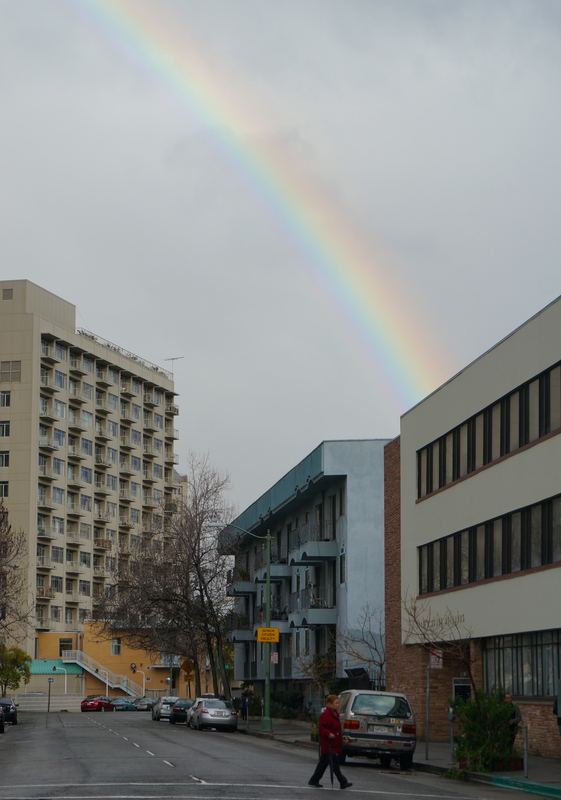 At the end of a rainy Friday, I left the house to run a quick errand and found myself chasing rainbows all the way home. I spotted the first one as I rounded a corner in downtown Oakland and immediately pulled over to admire it. Hoping to find a more open vista I drove a few blocks south to Lake Merritt but by then the rains had started up again and all I could see was a faint shimmer of color. 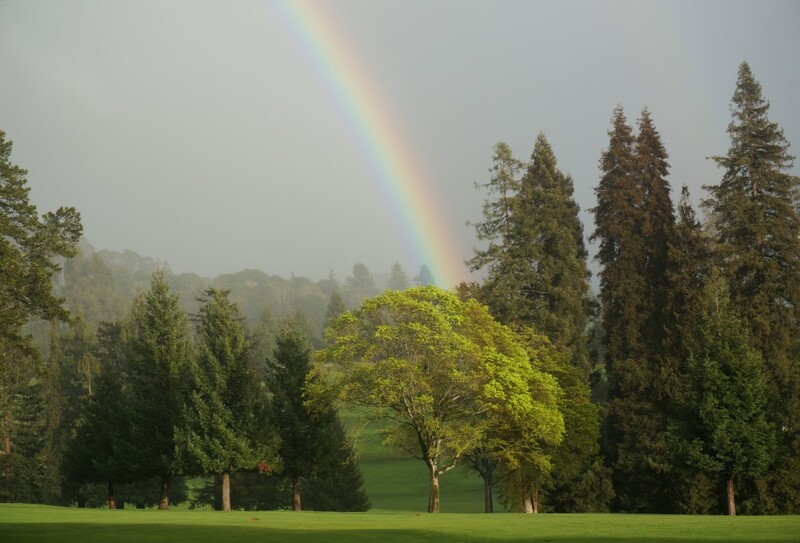 I turned east to pick up my weekly box of CSA vegetables and the sun came out just long enough to create this stunner over the Claremont golf course. Yes, beauty is often fleeting. So best to catch it while you can. Rainbows mean rain. Here in California that’s cause for a Happy (Rain) Dance. Thinking I’d like to add rain chains to my next house. Bravo to Nars and Marc Jacobs for their stance on Age + Beauty. Cool Olympic photos from Sochi make me miss the games. Golden Rules for writing well could be applied to any creative project. And finally, exquisite animation makes The Wind Rises 2014′s first Must See film. This entry was posted in Shelter, Style and tagged beauty, film, music, nature, Olympics, photography, rainbows, writing. Bookmark the permalink. Post a comment or leave a trackback: Trackback URL.